I received this lace skirt a while back but have been waiting for the weather to warm up to wear it. I absolutely love the delicate cut out details...so chic! I styled it here with a lemon coat and a striped Boden sweater for an elegant daytime look. Finishing off with these ahhhmazing Next lace up flats which I can't stop wearing. They are super comfy and very similar to Aquazzura flats that I have been lusting after, however these beauties are at a much affordable price tag of £45! Get ready to see them on here a lot... they literally go with everything from ripped denim skinnies to a simple black dress! How weird, I bought (and later returned) what looks like the exact same skirt here in Norway, at Gina Tricot. The two brands must have purchased the same fabric! 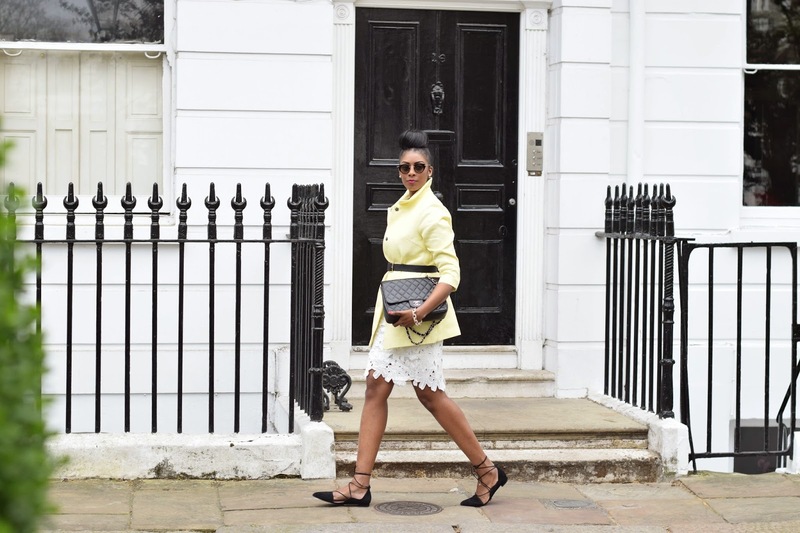 I just love white lace skirts and it looks so chic -- and Riviera-like - against the yellow coat. Great outfit! Ah that skirt really is such a beauty! 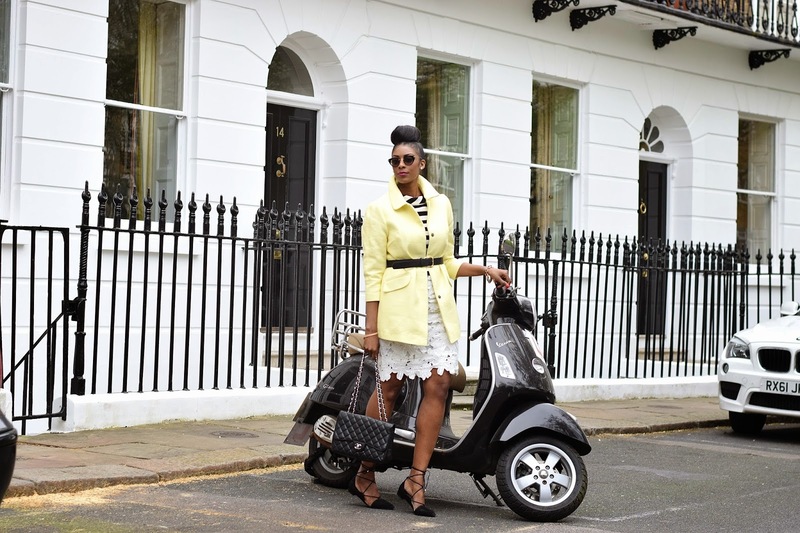 Love it paired with the lemon yellow jacket. Love this outfit! The dress is so chic. Fabulous post!